Point of view is the term of art that describes the person and perspective from which a story is narrated. The categories of point of view, as ordinarily defined in English classes and textbooks, are first person (I), second person (you), limited or close third person (he, she—wherein the viewpoint is that of a central character), and third-person omniscient (wherein the author, or a narrative persona created by the author, provides an overarching or encompassing point of view capable of shifting between and illuminating the points of view of multiple characters). In English and creative writing classes over the past fifty years, students have often been instructed that once a particular point of view has been established in a story, that point of view should never be deviated from or broken. The explanation given for the rule is that if point of view is not maintained consistently, the reader will be disoriented and the story’s necessary illusion of reality will be ruined. While correct in principle, and often in practice, this teaching has led to general misunderstandings and oversimplifications of point of view. For many student writers, point of view may seem a monolithic or mechanical apparatus, not easily moved once put in place, and best left alone. Or, if it is to be shifted, it is to be done only at a major transition—a chapter break in a book or at the line space between sections of a story, for instance. Likewise, student writers often work with the unexamined premise that a story’s narrative point of view is identical to the point of view of the primary character. So, for example, the working premise would be that in a first-person story, the I who is the narrator is the same individual and has the identical point of view as the I who is the main character, or that in a limited-third-person narration, the reader receives only the immediate perspective of the he or she main character—in either case, first person or third person, the writer would seem to be allowed to tell the reader only what the character directly experienced and knew at the time of the events or knew from an earlier time. Other common misconceptions and exaggerated ideas about point of view include: the writer must avoid direct authorial statement to the reader; only the points of view of main characters who are “moving” rather than “fixed” should be conveyed; the categories of point of view are mutually exclusive of each other, so that, for instance, a first-person narrator cannot narrate omnisciently. In each of these statements, there is a measure of truth, and a sensitive, intelligent writer adhering to them will write successfully; however, an attentive reading of classic and worthwhile contemporary fiction quickly reveals a greater fluidity, flexibility, and lifelike spontaneity in the use of point of view and encourages an expansive interpretation of ordinary teachings about point of view. There are several reasons for the dominance of conventional ideas about point of view. Some readers and writers are confused, if not offended, by shifts in point of view and by the presentation of multiple points of view in a single work, and indeed, if a reader is intended to attach to a story by virtue of identification with a single, main character, then a unitary point of view may be expedient. Likewise, some readers and, to a lesser extent, some writers are opposed to the idea that one individual can know the mind, inner life, or point of view of another individual, and thus multiple points of view mediated by an omniscient narrator seem to be implausible. However, the primary reason for categorical definitions and rules for the use of point of view is the reasonable intention of making a complex element of fiction clear and manageable for student writers. The root word of imagination is image. Images are pictures. Imagination = images in motion, moving pictures of characters. Before a character can exist for a reader, the character must first come alive in the writer’s imagination. The writer pictures the character in sustained movements of plot—what the characters would inevitably or probably do (essential action). The movements are consequential. The pictures are active—that is, characterization depends on animation rather than still portraiture. The sequence of pictures develops causally, and the character lives out a destiny that has been imagined and, then, interpreted in words. Would-be writers, especially those working from autobiographical or found material, sometimes lament their lack of imagination. However, they don’t lack imagination so much as misconceive it. Every sentient person has a constantly active imagination that unifies sensory data into recognizable patterns—the image of a familiar face, for instance. This involuntary imagination is reproductive—it repeats and copies what already exists in the world—and operates in writers who employ it unawares to lift material directly from life. By comparison, the artistic imagination is productive—it takes raw material provided by involuntary imagination and creates images and patterns that did not previously exist. The artistic imagination is a willed, directed process that involves not only the habit of forming mental pictures but also an increased level of awareness that engages the totality of self—intellect, judgment, emotion, and moral sense. The statement “art imitates life” expresses a distinction between an imitation and a copy. At first a copy seems identical to the real thing but on closer inspection reveals its differences. It has a lower order of being. An imitation shows immediate, obvious differences from the real thing but produces in the observer an effect of development or imaginative movement toward sameness. Imaginative movement in the creation of characters produces drama. Inexperienced writers will often pose a situation, such as two characters in an unhappy relationship, and then proceed to detail the situation at length, without creating any movement, change, or consequence. In some manuscripts, the basic situation posed at the beginning of the story obtains throughout the piece, with various instances of the situation being presented as though in a progression of scenes, though each instance merely restates in somewhat altered form the basic circumstance provided in the beginning. A writer may have the impression of creating scenes by moving or shifting time and changing the literal detail from instance to instance; however, if the dynamic of the relationships and conditions in the story does not develop consequentially, what’s produced instead is a redundantly stated circumstance that lacks drama. When the topic of discussion in a workshop or seminar is imagery and a well-known story, such as Malamud’s “The Magic Barrel” or Flannery O’Connor’s “A Good Man Is Hard to Find,” has been studied, students often ask if the author knew what he or she was doing with the imagery or if it happened spontaneously—in other words, more or less without the writer’s awareness. Typically, this question, like many questions in classes, generalizes a more personal question relating to how the student may be trying to achieve a particular effect, or effects, in his or her own work. Accordingly, the question may sometimes be put aside in favor of drawing out a particular example from the student’s own work. Each writer creates imagery in his or her own way and as is natural to each piece of work; otherwise, the writing would be formulaic. The student writer may have a secret or instinctive belief that imagery (and other techniques) should occur spontaneously, and certainly when writing succeeds that way, it’s a gift. More often than not, however, passages of unerring, spontaneous inspiration come only intermittently and cannot be depended on to achieve completed, successful works. Malamud was known for his meticulousness and for writing as many as fifty drafts of a story, and it’s reasonable to say that by the time he finished, he knew exactly what was in the story, though when he began, and through successive drafts, his intuition provided material, including imagery, that was accurate without his deliberating on it, or the initial material became more accurate in the pattern of the story by virtue of Malamud’s repeated scrutiny and revision. Literary art is neither all conscious nor all unconscious; an interplay between the two attitudes typifies the process by which stories are written; however, the movement of drafting a story from inception to completion is from lesser to greater consciousness in regard to both content and technique. On balance, a work that approaches mastery represents a highly sustained play of practiced, if automatic, skills across inspired material. Like a musician or painter, a writer practices, learns, and overlearns the techniques of an art so that once inculcated they may be performed with an exactness and ease of proficiency fed by inspiration. Absolute control is rarely, if ever, achievable, nor perhaps desirable, since the temptation to perfection can lead to overdetermination, yet the writer aims for mastery of the art and an ideal performance in each work. A writer works to attain the unachievable, and as a writer’s mastery grows, the progressive expansion and autonomy of the goal, its elusiveness as it’s grasped, make the work infinitely engaging and worthwhile. Perfectionism, as distinct from mastery, springs from an inadequate understanding of art, from the writer’s knowledge and skills not being up to fulfilling the concept or intended ideal of the work, or, conversely, from the writer’s choice of concept being unsuitable or impracticable for the art, and in either case, the writer strains to make the embodiment and ideal of the work coincide, and the strain shows. Hence, the notion that the work should spill effortlessly from the writer can seem attractive, if not supremely seductive and correct. Moments of spontaneous grace are a constant aim and a great pleasure in drafting, but a reliance on them to produce excellent work and a resistance to close revision make for deluded, self-indulgent writing. The writer in love with the immediate outpourings of his or her pen unreasonably expects the reader’s unequivocal love and discovery of form and significance where only vague or partial articulation exists. A writer should not expect a reader to find more knowingness in a work than the writer’s own knowingness, nor should a writer be satisfied if the work can occasion only the reader’s subjective associations. The work should provide for an objective, aesthetic understanding closely related, if not identical, to the writer’s own. The strength and worth of a work depend on deliberate artistry as much as, if not more than, talent, desire, and inspiration.
. . . a young woman . . . whose face was as broad and innocent as a cabbage and was tied around with a green head-kerchief that had two points on the top like a rabbit’s ears. This image came to O’Connor’s mind and occasioned the story that came out of it; however, it is not the first line of the story, nor is the young woman the primary character. This is to say that having received the integral image, O’Connor determined what it meant and what became of it in a larger pattern of images and ideas rather than allowing it to determine all that followed. Also, it is worth noting that while the image came to the writer’s mind as a picture, it was translated into words on the page in such a way that anyone could experience it clearly and objectively. O’Connor’s inspiration was intuitive; her art, thoughtful and deliberate. The movement of words from face to broad and innocent involves the author’s interpretation and commentary on the image even as she translates it visually for the reader. A deer jumped the road in front of them, clearing the snow, the pavement, the fences of the fields, in two bounds. Beyond its arc the hills rumpled in snow. The narrow road wound through white meadows, across the creek, and on. Her father was driving. Her brothers had shining play pistols with leather holsters. Her mother wore clip-on earrings of tiny wreaths. They were all dressed in new clothes, and they moved down the road through the trees. This sort of imagery comes to an author’s mind complete, either as individual pictures or in a sequence of pictures spontaneously rolling one to the next. Words describing the pictures may come to the author simultaneously with the pictures or may follow afterward, but in either case, the words reproduce the content, shape, movement, and import of the images exactly, and the reader, in turn, experiences them in the mind’s eye as did the author. To be sure, there’s a lyric effect as well as an imagistic one in the above lines. The relative freedom and forward rush of breath in the first two and a half lines slow in rhythm as the imagery moves from the deer and the fields toward the car and the family. The road, an ongoing image of fate in the story, forms an intersection between realms and a shift in both the imagistic and lyric impulses in the lines. Beginning with Her father, the breath and rhythm grow shorter, more constrained, yet the author’s touch lightens all the while toward the final line, which is a release, a good-bye to the past, as the daughter comes complexly into her own, and the reader lifts away with her and returns to life beyond the story. The images and their effect are instantaneous and perfectly natural—the result of conscious artistry. There were yellow pine floors and rope-work throw rugs and a bead curtain to the bedroom and a cast-iron stove with none of the lids or handles missing and a pump in the kitchen sink and old issues of Field and Stream and on the mantel above where a fire now finally burned was a picture of the boy’s grandfather, the railroad telegrapher, who had once owned the cabin. Presently he could see the grove of oaks and cedars and the other flowering trees and shrubs where the house would be, though not the house yet. They walked beside a fence massed with honeysuckle and Cherokee roses and came to a gate swinging open between two brick pillars, and now beyond a sweep of the drive, he saw the house . . . They saw halfburied skeletons of mules with the bones so white and polished they seemed incandescent even in that blazing heat and they saw panniers and packsaddles and the bones of men and they saw a mule entire, the dried and blackened caracass hard as iron. The sentence is composed of compact phrases—halfburied skeletons, bones so white, for instance—and each phrase viscerally enters the reader as sensation combined with lyric impact. Some of the sensations are purely visual; others, bodily or tactile, as in blazing heat or hard as iron. The bodily or tactile sensations also convey visual perceptions—shimmering heat, the solidity of iron. McCarthy forms his phrases compactly, combines and places words to create maximum immediacy, directness, and potency, yet his concision produces richly brocaded sentences rather than plain ones. The phrases move with rhythms that are McCarthy’s by way of Faulkner and the King James Bible, and, to a lesser degree, James Joyce, whose work had an influence on Faulkner’s style. McCarthy’s rhythms set his phrases as precise units whose integrity is absolute—each perception or image is a thing unto itself. And with only one comma in the forty-six-word sentence, the rhythms—the breaths and pauses—act as punctuation to give each detail its moment, while the sentence moves and gathers as a whole. It asserts its form and cannot be misread. Its strength says, This is real; this is the truth. And the lyric, imagistic rhythms rise and fall, creating points at which sensation flashes into intuition—bones so white, blackened carcass hard as iron. Readers sensitive to language will note that bones so white occurs on a rising rhythm, preceded by a fairly even, long one, and followed by dips and rises that gradually fall and lengthen again into the deeper, steady register of blackened carcass hard as iron. The climactic moments in the sentence are not all crescendo but are determined by the nature of the facts. The they in the sentence are men on horseback, moving at a walk, and the rhythm of the language and the perceptual moment of each image accords with the time and motion, the glance of the men on horses. They come upon certain objects on the ground, a perceptual variation occurs, and they ride on. The shape of the sentence, from the longer, relatively flat movement of the first words to bones so white through the shorter rhythmic statements in the middle of the sentence to the longer, concluding motion of blackened carcass hard as iron mirrors horsemen’s motion toward what they see, at what they see, and passing on. The beginning and end of the sentence have the shape of the forward line the men are traveling, interrupted by images of death, a shortening, a quickening in the line. The sentence is an entire passage—a complete plotted drama of its own. And, by the multiplicity of orchestrated elements at work—imagery, lyricism, plot, metaphysical statement—it should be obvious to an alert reader that the effects that McCarthy, or any writer, achieves in such a sentence are not the result of happenstance but of care. Yeats was only in his twenties when he wrote these lines, yet he cast his image of the poet as an old woman working dawn to night to keep the fire alive and the house running, while younger folk dream and idle and sigh at the wind. The old woman’s testimony can be seen, in part, as Yeats’s prescient understanding of how life and work play out—a writer ages, his energy wanes, and then the strength of developed knowledge and the habit of work provide the means of inspiration—the fire—rather than the other way around. Taken together, the diligent old woman and the dreamy youths form an image of the interplay of fancy or serendipity and discipline that occurs throughout a lifetime of creative activity. Sheer inspiration, like the wind, is not continual and will not always come when summoned, and across a lifetime the spark or fire of a writer’s given talent counts for no more, or perhaps less, than the focused effort a writer expends. Some writers are naturally gifted at plotting. Without apparent effort, they can formulate the sequence of actions and events of a story. Other writers—in fact, most writers—work hard at plotting, with varying degrees of success depending on the writer’s gifts, intentions, and understanding of plot. In more than twenty years of reading manuscripts, I have found relatively few writers who can plot and, among the ones who can, few who can resist overplotting and can imbue a plot with life. Plotting is, on the one hand, a matter of thinking, and, on the other, a matter of integrating the thinking that plots with the other imaginative and, in part, irrational elements that make up a story. A writer who cannot plot, or who is weak at it, may resist the idea of plot altogether, opting instead for a play of effects—lyric, imagistic, thematic, and so on—that come more easily to hand and, in deploying these effects, may assert that the result is no less a story than one that is well plotted, and may also assert that the result represents a new form, an intentional going beyond conventional, outmoded definitions of story. And who would care to disagree? Why deny the writer’s personal pleasure? Though by no means insisting on one way of doing things over another, I would suggest that any rationalizing of a work, or its effects, as though to justify it, should be viewed with some skepticism. A well-told story makes its own justification by virtue of direct, total impact on the reader. A plotless or weakly plotted work may offer various impressions—feelings, images, thoughts—but will have less magnitude and less power to move a reader than one that is well plotted and gives a unified effect. The works of imaginative prose that have stood the test of time bear out this principle. A writer who easily plots will usually begin a story by conceiving the plot, often in outline form, whether held all in the mind or put down on paper. Outlines are provisional. They are not set in stone. They shape and are shaped by the story that emerges. Outlining and drafting are reciprocal, one informing the other. Outlines give a writer the opportunity to think through and develop a story with continuing variations as needed to make the story as focused and true as possible—true in the sense of being lifelike, emotionally true, and architecturally sound, all the structural elements properly aligned. Outlines are often formed as lists organized by number and letter, by dates, by bullet points, or other hierarchal means. While useful for term papers, theses, dissertations, scholarly articles, journalism, and factual nonfiction, such outlining is inadequate for imaginative prose. Lists of character actions and attributes, settings, ideas, and so on are dramatically inert. Plot outlining should put a story into action, in concentrated form. Fleda Vetch is down at Ricks—has come down to find Mrs. Gereth installed and in possession of most of the treasures of Poynton . . . The sense of what her friend has done quite appalls the girl, and what has now passed between her and Owen prepares her for a great stir of feeling in his favour—a resentment on his behalf and pitying sense of his spoilations. I am here dealing with very delicate elements, and I must make the operation, the presentation, of each thoroughly sharp and clear. If this climax of my little tale is confused and embrouillé it will be nothing; if it’s crystalline as possible is will be worth doing. I have, a little, to guard myself against the drawback of having in the course of the story determined on something that I had not intended—or had not expected—at the start. I had intended to make Fleda “fall in love” with Owen, or to express it moins banalement, to represent her as loving him. But I had not intended to represent a feeling of this kind on Owen’s part. Now, however, I have done so; in my last little go at the thing . . . , it inevitably took that turn and I must accept the idea and work it out. What I felt to be necessary was that what should happen between Fleda and Owen Gereth should be something of a certain intensity. My idea was that it should be, whatever it is, determining for her; and it didn’t seem to me that I could make it sufficiently determining without making it come, as it were, from Owen . . . Fleda suddenly perceives that on the verge of his marriage to Mona—he is, well, what I have in fact represented . . . . His marriage hasn’t as yet taken place, but it’s near at hand—it’s there. She expects nothing more of him—has a dread of its happening. She wants only, as she believes, or tries to believe, never to see him again. She surrenders him to Mona. She has a dread of his not doing his duty—backing out in any way. That would fill her with horror and dismay. But she has no real doubt that he’ll go through with his marriage . . . . It seems to me I have really here the elements of something rather fine. The fineness is the fineness of Fleda. Let me carry that as far as possible—be consistent and bold and high about it: allow it all its little touch of poetry. She is forced again, as it were, to renew a relation that she has sought safety and honour, tried to be “good,” in not keeping up. She is almost, as it were, thrown into Owen’s arms. It is the same with the young man. He too has tried to be good. He has renounced the relation . . . He is thrust by his mother into danger again. Mrs. Gereth is operating with so much more inflammable material than she knows. In James’s remarkably transparent, sensitive deliberations, in all his pauses and fluctuations, there is the steady, forward movement of imaginative thought and story. As concept and sketch, the outline does not entirely embody the drama, yet the characters’ desires, emotions, actions, and conflicts are apparent, the impact of the drama is felt, consequences arise at each step, and a meaningful destination is promised. No one studying James would want to imitate him exactly—his gifts are his own—yet his process of thinking a story through can be adapted for any writer’s use. A writer who finds that outlining a story kills spontaneity will, as a rule, just go ahead and draft, shaping the material on the fly, perhaps giving some reflection to how it’s coming out but not achieving a highly developed structure. Then, once a draft is complete, or reaches critical mass short of completion, or loses momentum, the writer will go back over the draft and, in effect, ask, What now? The writer will look for a means by which to decide on a form that will be compelling to readers. Revision of an instinctively written draft requires principles on which to decide not only what transformations should occur but also how they may be achieved. A viable story, though inchoate in draft, will assert its form, and the writer need only to discern the emerging plot and allow it to reveal its necessities. James mentally drafted his stories, writing concentrated outlines and revising them before committing himself to writing a draft with narrative, dialogue, staging, and so on. Any writer less able than James to hold a story clearly in mind engages nonetheless in a process of creating and revising material, though with less alacrity and economy of effort than James. Across a lifetime’s work, the writer who accepts and develops a thinking approach to plotting, or who uses thinking to augment an instinctive approach, will labor more effectively than the writer who resists plotting aforethought. An introduction explaining the principles underlying the book: how writers read and teach themselves to write. 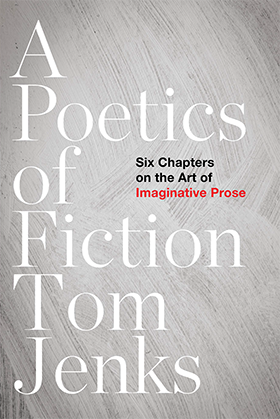 Six Chapters on the Formal Elements of Fiction: Diction, Point of View, Characterization, Patterns of Imagery, Plot, and Theme. Many practical examples from American Short Story Masterpieces, which I edited with Raymond Carver, and from other works by well-known writers. Advice on Beginnings, Endings, Narration, Dialogue, and other useful topics. A Bibliography as a guide to readers for further study. The volume is drawn from more than 35 years of editing, teaching, and writing and offers practical knowledge not generally available elsewhere. Students who have received their MFA degrees and/or attended prestigious writing conferences around the country routinely tell me that the information they gain from working with me goes far beyond what they have previously been given. Comments on my teaching and details of my editing and writing are posted on this site.